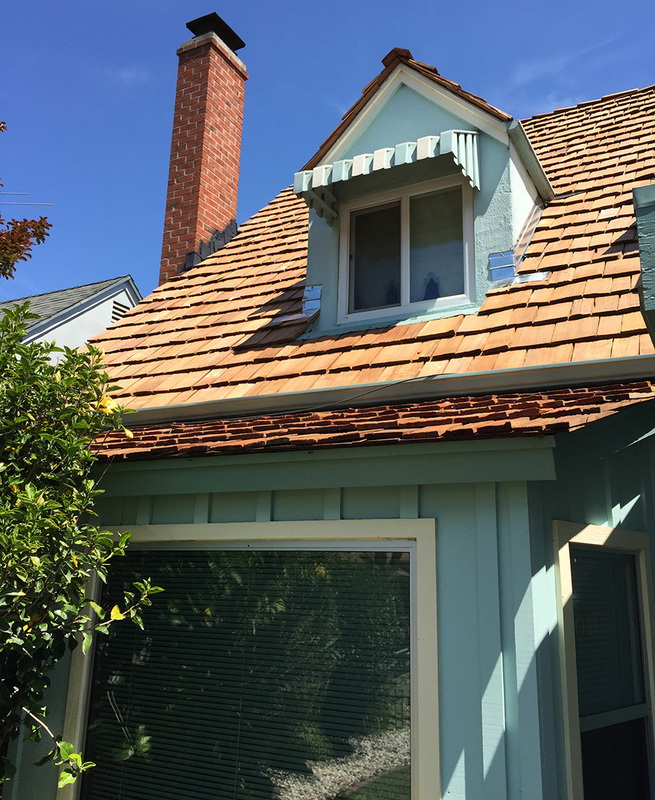 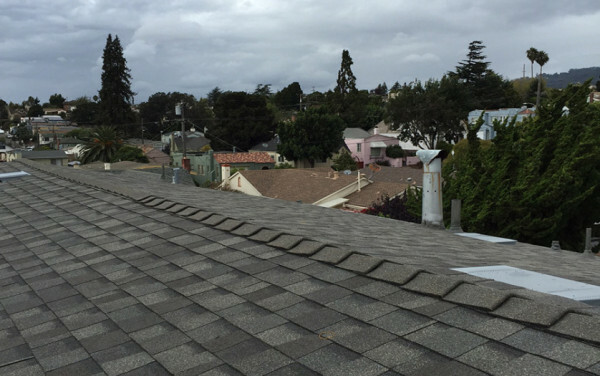 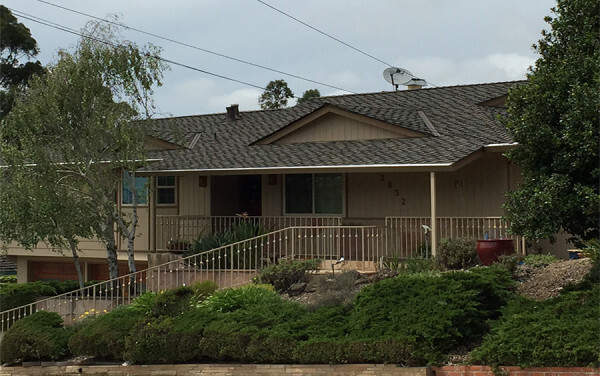 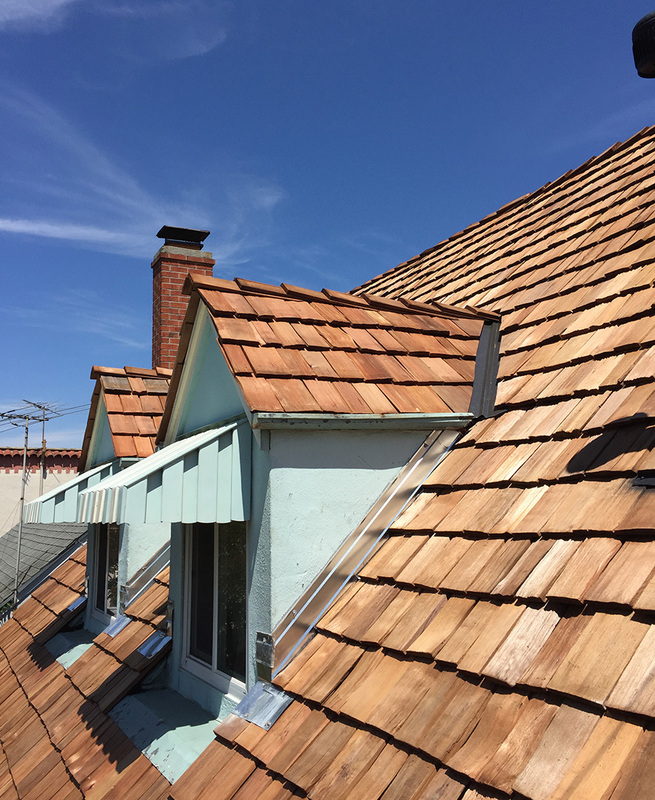 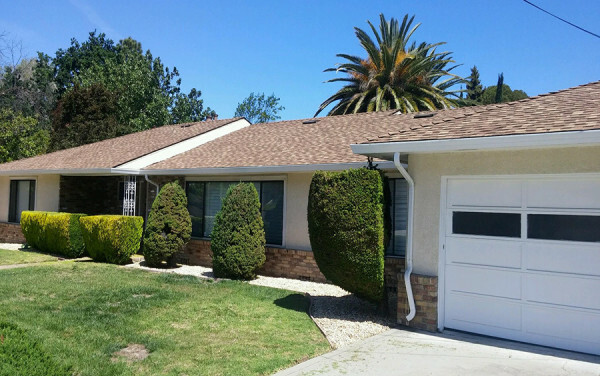 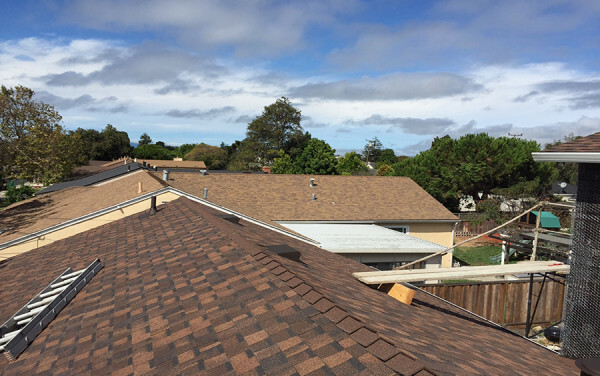 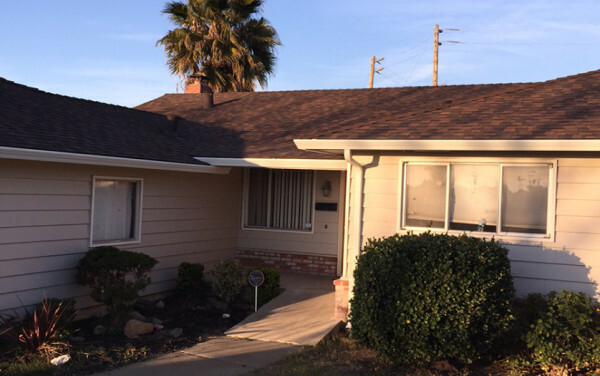 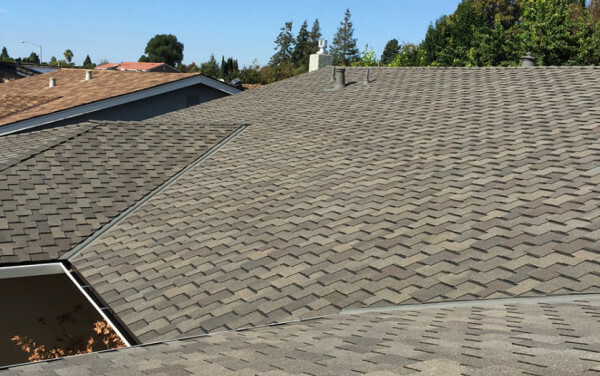 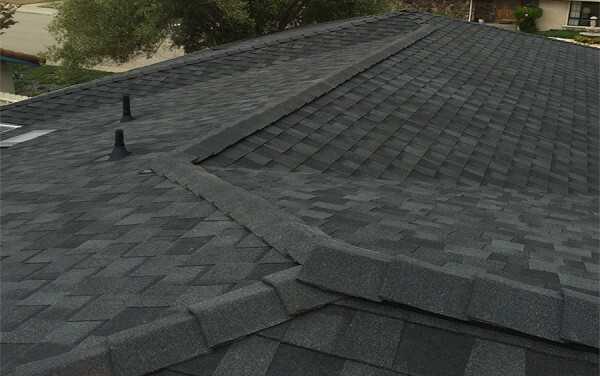 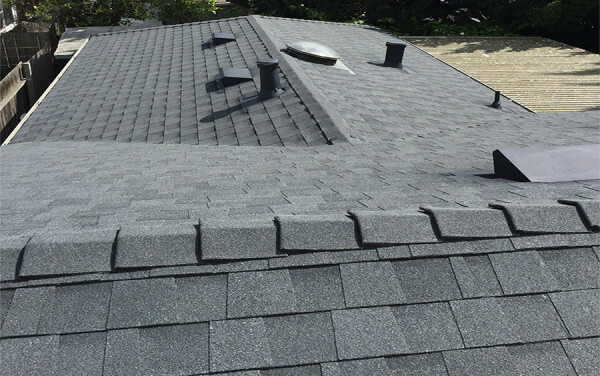 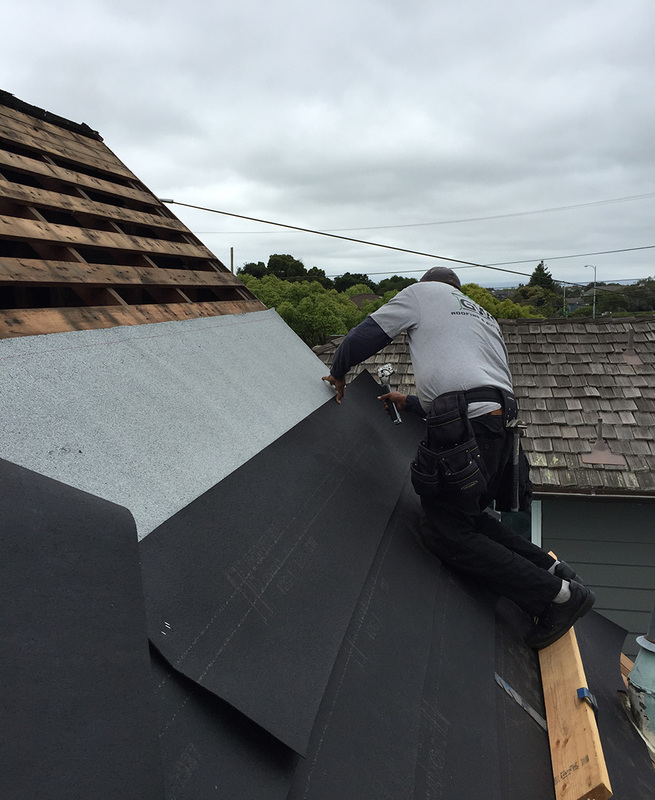 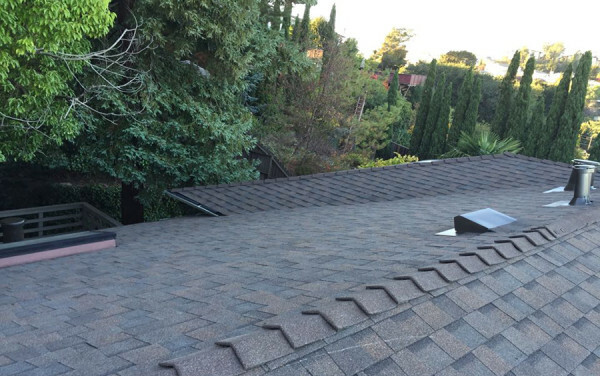 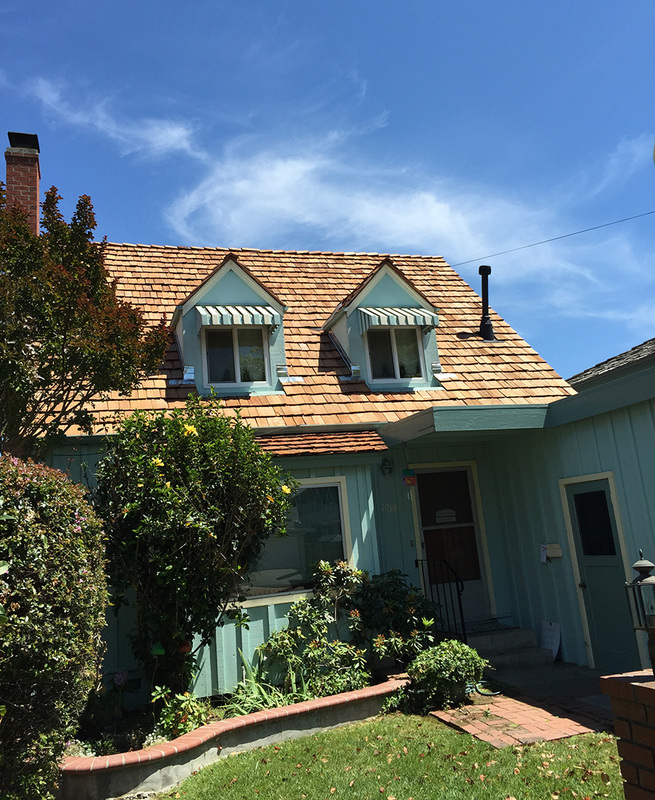 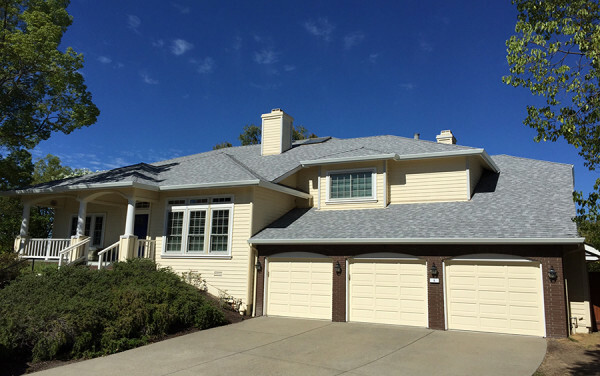 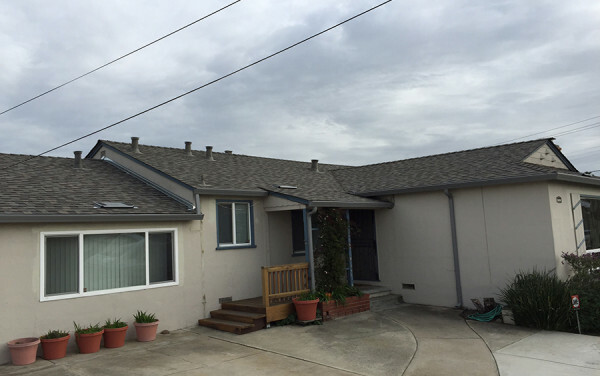 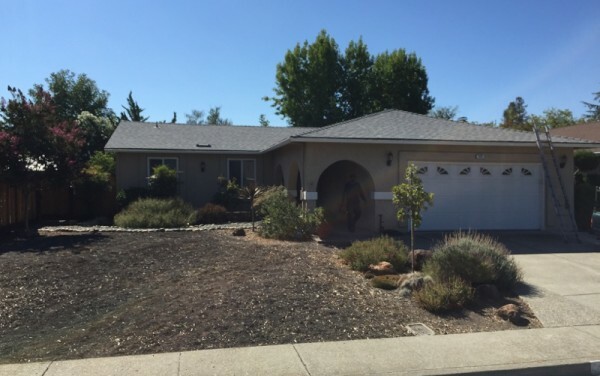 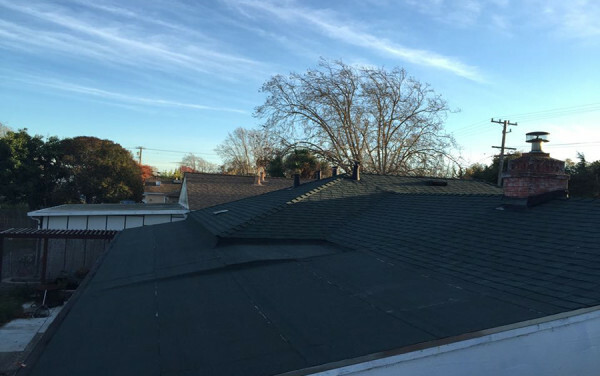 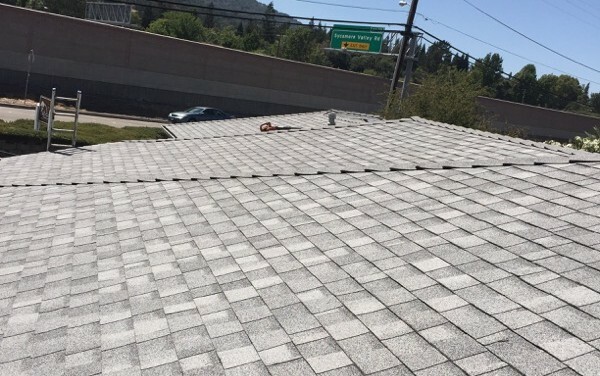 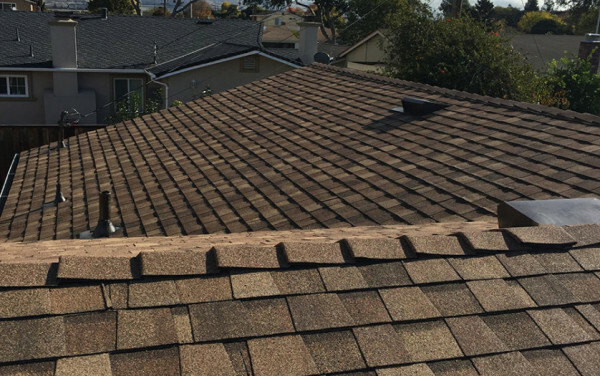 Say hello to this beautiful new hand-split red cedar wood shake roof we installed in Alameda! 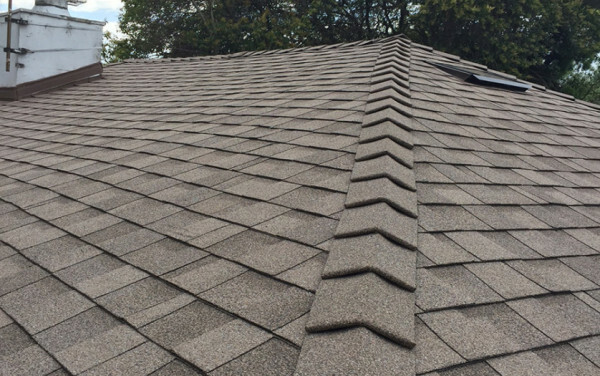 This homeowner knew what she wanted right from the get-go, explaining her preference for a wood shake roof, and nothing else. 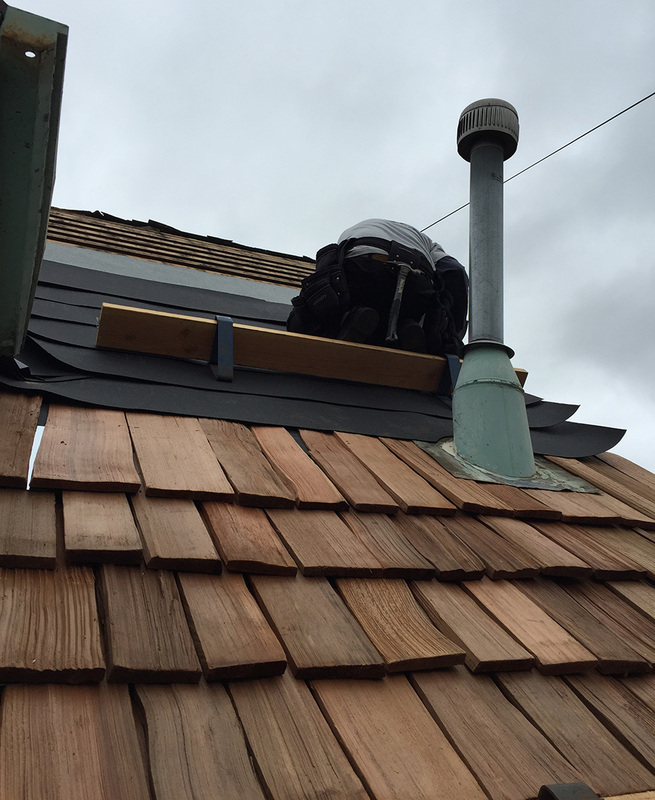 We installed 72-lb mineral surface cap sheet, followed by 30-lb felt shake underlayment, and new 3/4″ cedar wood shakes, class B fire treated. 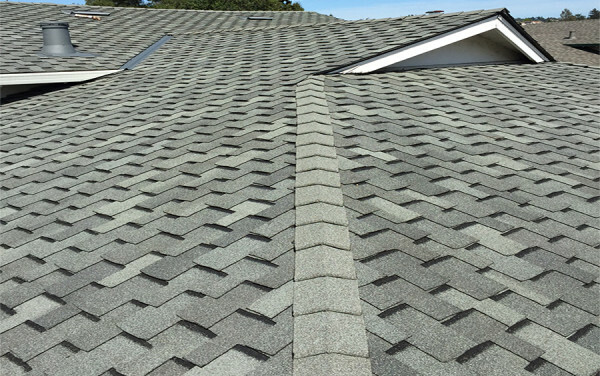 These days, shake roofs are installed much less often, due to the cost efficiency and variety of composition shingles. 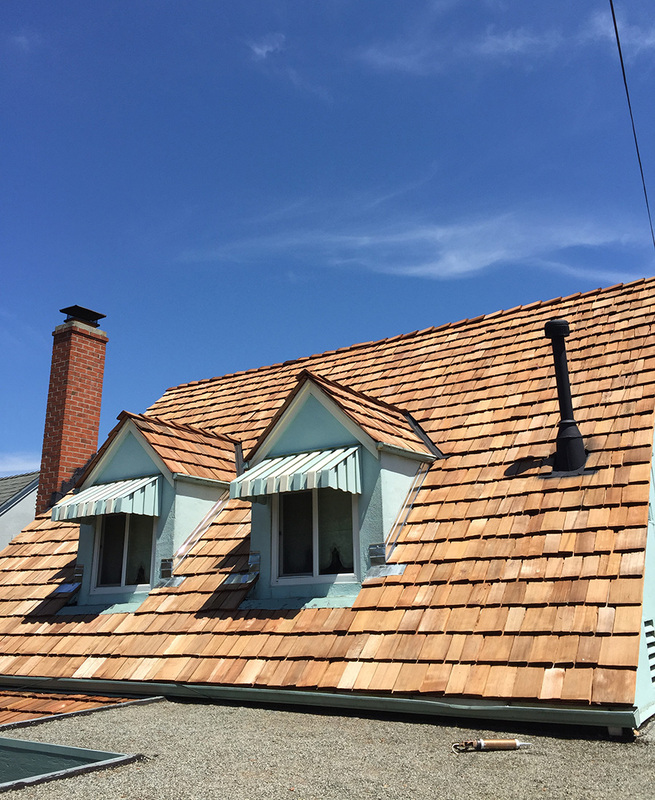 But whenever we get to install these hand-crafted wood shakes, it turns out beautifully. 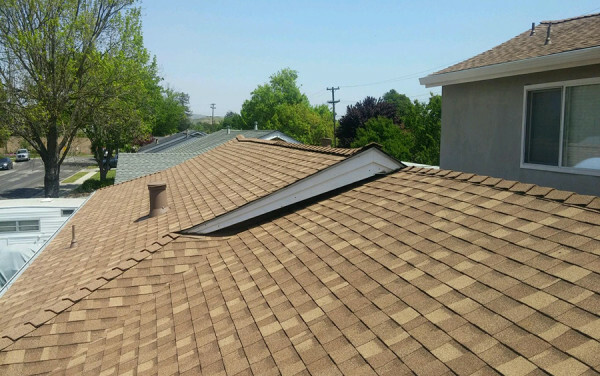 There are many benefits to having a wood shake roof on your home. 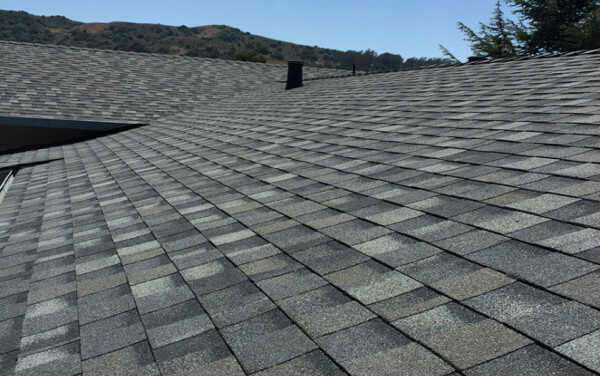 Although they are more expensive than composition shingles, the natural beauty that they offer your home is priceless. 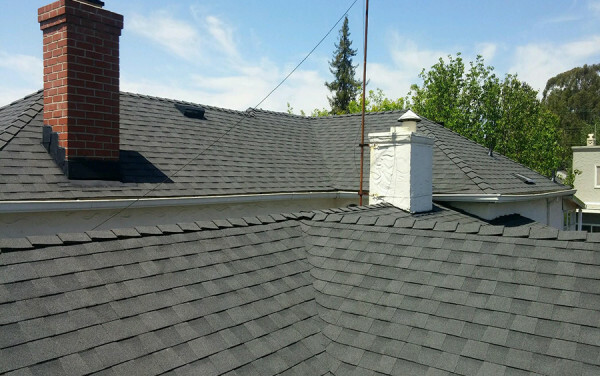 Additionally, the longevity that shake roofs offer surpasses that of composition shingles immensely. 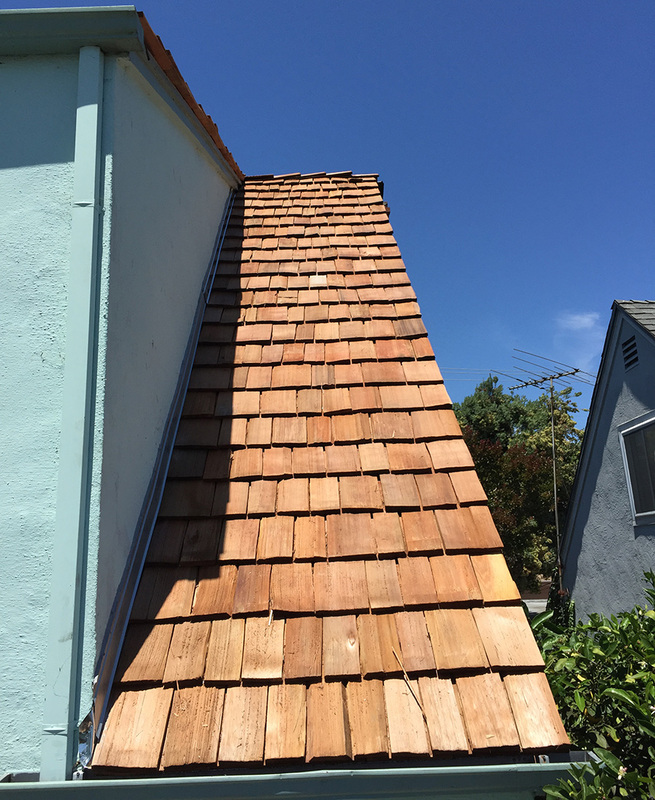 Regular composition shingle roofs these days tend to last about 25 years; however, the Cedar Shake and Shingle Bureau claims that wood shake roofs typically last between 30-40 years. 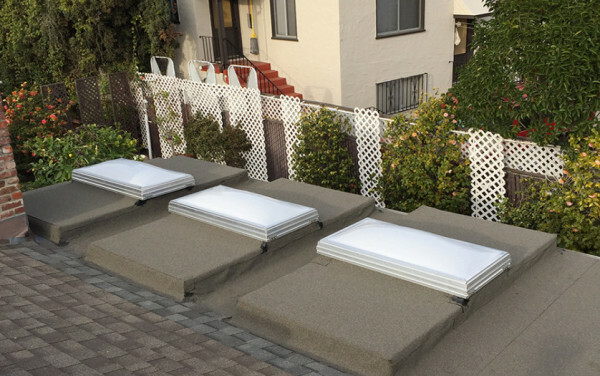 Talk about receiving a return on your investment. 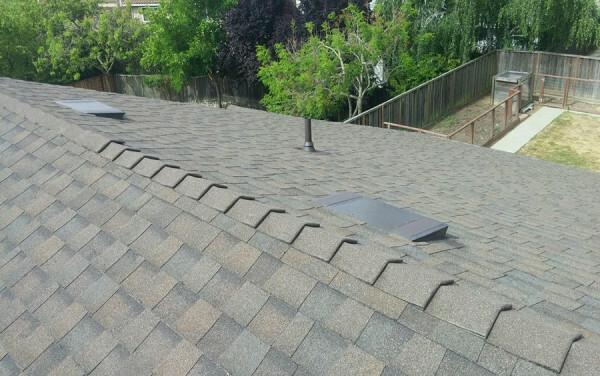 Finally, having a wood shake roof on your home can help you drastically cut down energy costs. 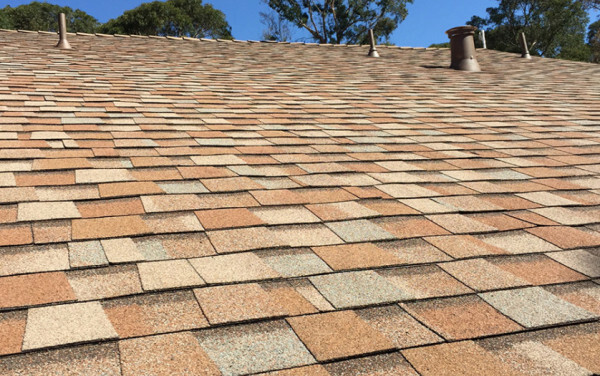 This type of roofing material doubles the amount of insulation your roof receives from the blistering heat of the summer and the chilly temperatures of the winter, in comparison to composition shingles.matched to this shingle color.